We are delighted to share with you details about a dynamic collaboration that helped lead to defeating BDS in Spain. 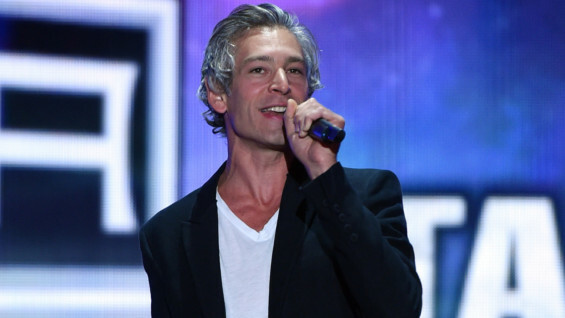 Matisyahu, an American singer, rapper and reggae artist who happens to be Jewish from Berkley California, was scheduled to perform at the Rototom Festival in Valencia, Spain. The festival organizers were pressured by the BDS movement to ask Matisyahu to sign a document that was anti-Israel and a pro-BDS statement: “They wanted me to write a letter, or make a video, stating my positions on Zionism and the Israeli-Palestinian conflict to pacify the BDS people.” When he refused, he was dis-invited to perform. He was the only performer asked to make such a statement. Jonathan Boyer, West Coast Director of Friends of ELNET, has been friends with Matisyahu for years, and along with our Spanish partner ACOM, were principal actors in working to reverse this decision so that Matisyahu could perform. Following the cancellation, and while Matisyahu was already in Europe and unsure how his concert tour would continue, Boyer contacted the singer to offer assistance. Together with ACOM, they managed to quickly find an alternative venue for his performance in nearby Ibiza. The ensuing pressure from the Spanish government, U.S. and Israeli Ambassadors, advocacy organizations, and the public led to Matisyahu being re-invited to perform at the original venue. Securing an alternative venue for his performance was helpful for their negotiations to play the festival. ELNET was also able to provide advice, perspective and real time information about the situation on the ground in Spain. We put together a Spanish team to provide PR and communication support to the artist and help coordinate the visit. They met the singer at the airport and accompanied him to the festival and throughout the evening. Top notch security was provided by the Head of the National Police, including a very tight deployment that included special agents and increased security in the festival, personal police protection for the artist, band and crew plus a special perimeter of protection during his performance and around their hotel. Rototom Festival officials apologized and said they made a huge mistake in bowing to the pressure from BDS because they personally oppose anti-Semitism and BDS. They also admitted they were affected by the results of their mistake. Rototom’s management team made the point of watching Matisyahu´s performance backstage and then apologized to the artist again after the show. The whole story has exposed the BDS movement as a violent and racist movement. In the much publicized video below you can see how, when Matisyahu performed his song about Jerusalem, the sea of Palestinian flags and anti-Israel banners in the front rows was eventually defeated by the love of the audience. This is a small yet powerful demonstration on how collaboration and effective citizen mobilization brought a victory against BDS, a movement that will unfortunately continue to necessitate a firm and cohesive response.